This page provides: articles of interest and links to resources. This page will help you understand your role and function as a JP and provide information relating to tasks that a JP encounters. Remember, every jurisdiction has their own legislation and there will be differences between jurisdictions, so it is imperative that you read and understand the JP Handbook issued in your jurisdiction, your JP Handbook takes precedence over anything stated in this site. This means to witness a legal document to verify that it has been completed according to law in your presence. A JP is required to witness a variety of documents and in some cases, documents that are presented to a JP are required to be witnessed by a different authorised person, such as a notary public. The role of a JP is to act as an independent and objective witness of documents used for official or legal purposes. 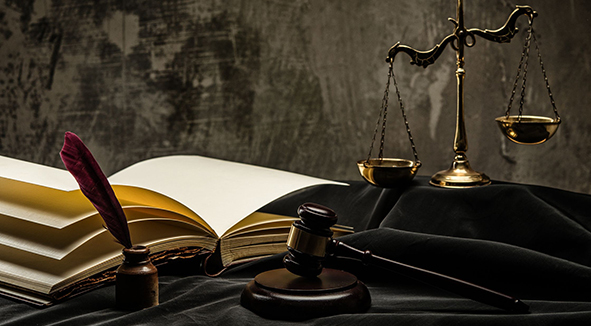 A document that is correctly witnessed provides the end user with assurance that all legislative requirements for the witnessing have been correctly performed. A JP has authority to witness documents that lists a JP as an authorised witness. To ensure you are an authorised person, check that the document lists a JP as an authorised witness. Generally speaking, you do not have the power to witness international documents. You should not just sign the document without following a suitable process, such as those contained in your JP Handbook. Verifying a person’s identity will depend on what the statute requires you to do. It may be that you need to have known the person for a certain time or be satisfied of the identity of the signatory. You can do this by asking for proof of identity that has a photograph on it such as a driver’s licence or a passport. JPs are not notaries. JPs are not Commissioners for taking Affidavits. You are not expected to know whether a document is in a form that makes it legally effective. The person making the document, not the witness, must ensure it is in proper form and, if necessary, get legal advice for this. Documents such as, Enduring Powers of Attorney and Wills, have specific requirements as to who is an eligible witness. It is recommended that you do not witness a document for close friends or relatives. It could be argued at a later date that you where unduly influenced by your relationship to these people. Therefore, you would not be doing them a service by witnessing the document. It is good practice to use a set procedure each time you witness a document, unless the law requires you to do something different. Following a set procedure will help you perform your duties correctly. It will also help you ensure you have covered everything. After witnessing many signatures and documents, you may not remember exactly what happened in a particular case. Sometimes you may be asked to give evidence in court about a case and, if you know that you always use the same procedure, you can tell that to the court. The procedure to follow will be specified in your JP Handbook. A statutory declaration is a written statement of fact(s) in which the person formally declares before an authorised person that the statement is true. A JP is authorised to witness statutory declarations. The person who makes a statutory declaration is referred to as the declarant. Statutory declarations have a wide variety of uses. In some cases, the law requires information to be supplied in the form of a statutory declaration. Banks, trustee organisations, educational institutions, employers, clubs and other organisations often require information to be provided in the form of a statutory declaration. Each state/territory has legislation specifying who can witness a statutory declaration. Usually this is found in the “Oaths Act” pertaining to the state/territory concerned. In all Australian jurisdictions a Justice of the Peace is authorised to witness a statutory declaration. An Affidavit is a written statement of fact presented as evidence in court. An Affidavit must be sworn or affirmed. The person who makes an Affidavit is referred to as the deponent. An affidavit is written evidence provided to a court of law. It is either sworn or affirmed. If a deponent knowingly makes a false statement they may be guilty of perjury. Affidavits are set out in the format required by the court in which it is to be lodged. Affidavits are usually governed by the Oaths Act. Authorised witnesses are specified in the relevant Oaths Act. In all Australian jurisdictions a Justice of the Peace is authorised to witness an affidavit. A certified copy is a copy of an original document that has been examined by an independent source to verify that it is a true copy of the original and the copy contains a certification stating it is a true copy of the original. Often people or organisations need documented proof of a degree parchment, driver's licence, birth certificate, passport or other documents. For instance, a person wishing to be registered as a legal practitioner, doctor or dentist, needs to provide proof that a university has awarded him the relevant degree. As it is not always desirable to provide the original document, organisations often accept a photocopy of an original document, but only when they have an independent assurance that the copy is authentic. Provision of a "certified copy" allows the owner to retain possession of the original document. An authorised person, such as a JP can certify that the copy is a true copy of an original document. There is no legislation that stipulates how to certify a copy of a document and it is up to the organisation requesting the certified copy to decide who is acceptable to certify a copy. A person who is listed to witness a Commonwealth Statutory Declaration (link) is generally accepted as a person who can certify a copy of a document.